Reader Confession – We love talking books annnnnd…. skin foundations! Cheryl: Hey Amy & Maryse, and any one else who loves makeup- what foundation do you use? 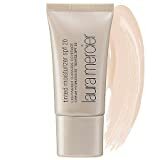 I just ran out of Laura Mercier Tinted Moisturizer, and while I liked it was wondering if you guys loved what you were using. Michelle: I have a crap ton of nail polish and MAC pigments, MSFs, you name it. I used to do makeup as a part-time job in school. I’ve seriously cut back but still spend a good chunk of change on beauty products. I’m just uber girly I guess Anne, I even have a Pleasureflush MSF *whispers my precious* My fave MSF is LIGHTSCAPADE though. Amy: Cheryl, right now I’m using bareMinerals bareSkin Pure Brightening Serum Foundation. There are mixed reviews out there on it, but it is working for me. It has a lighter coverage so it doesn’t feel too thick or cakey. I *would* recommend trying it out in the store first just to make sure it works for you. Michelle: Oh Amy I’m in love with the Tarte finishing powder! I use it everyday now with my MAC 182. I have combination skin and it really keeps me matte for most of the day. …The Tarte loose powder is better than the pressed just fyi. I have the shadows and especially the mattes are very good. Amy: Oh, makeup talk! Dior Air Foundation. I. Am. In. Love!!! 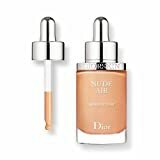 My go-to is usually Bare Minerals liquid foundation but the Dior one is great for when I need something not as sheer as the BM one. 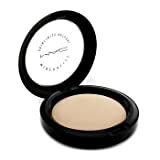 The coverage is perfect and beautiful and light and just… *sigh* Aaaaaannnnddd my newest gem find is the MAC Prep + Prime Skin Base Visage…works wonders on days when my skin is looking particularly craptastic, LOL!!! Cheryl: Amy, I love Dior makeup for the same reason, otherwise I love MakeUp Forever foundation and their concealer. Have you tried Becca shimmering skin perfector? Loving the glow it gives my skin, either by spot applying or mixing with my foundation. Amy: …the primer I use is Smashbox Photo Finish Foundation Primer. I received a sample of the Photo Finish primer oil, but my skin tends to get oily so oil just makes it look greasy, not dewy. Yes, there is a difference. And yes, greasy is gross. Dewy is pretty. Tasha J: I really like the looks of, and have heard good things, about rms un-cover up foundation and powder. I love IT Cosmetics CC foundation. I get so many compliments on my glowing skin when I wear it. This stuff is amazing!